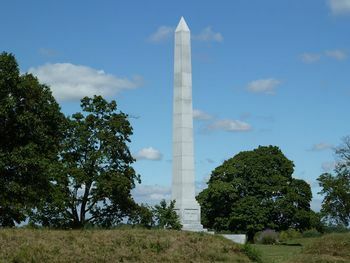 Fort Meigs (1) (1813-1817) - First established in 1813 during the War of 1812 by General William Henry Harrison. 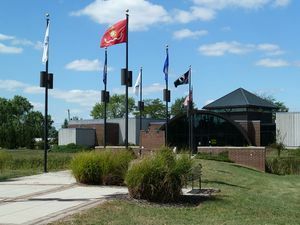 Named after Col. Return J. Meigs, Revolutionary War Officer and Commander of the 3rd Light Infantry under General Anthony Wayne during the Northwest Territory Indian War. Abandoned in 1817. Established by General William Henry Harrison in the winter of 1812-1813 on a high bluff above the Maumee River rapids at present day Perrysburg, Ohio. The post commanded a shallow rapids crossing and a principle land route to and from British Canada. The fort was initially built as a very large stockaded fortification with seven substantial, two-story blockhouses and five gun batteries. Two large earthen traverses ran the length of the post protecting the magazine and other stores. Access was provided by eight large gates. The post was large enough to support 2500 troops. 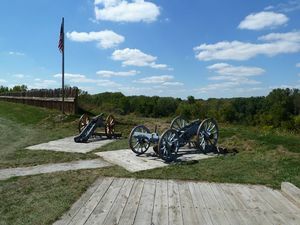 Fort Meigs came under attack from a force of British regulars, militia and Indians under Tecumseh twice during May and June of 1813. In both cases, the Americans were able to withstand a substantial siege. 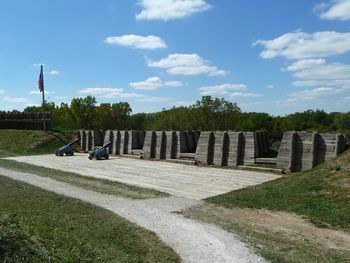 The fort downsized into a much smaller stockade when the direct threat was gone and the larger stockade and blockhouses were destroyed. 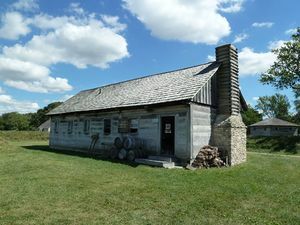 The Treaty of Maumee Rapids was signed at the fort on 29 Sep 1817 and the post was abandoned that same year. A 1970s restoration of the fort is on the actual site. The 10-acre fort site is the largest restored stockade fortification in North America. Period guns and mounts in place. Location: Near Perrysburg, Wood County, Ohio. This page was last modified 08:24, 26 March 2019 by John Stanton.